As a student at the College of the Resurrection, you’ll experience the challenge and diversity of pastoral ministry in a wide range of contexts such as parishes, schools, and chaplaincies. We offer placement experiences in anything from picturesque Yorkshire villages to big cities (perhaps one where Christianity is not the majority religion), or even overseas. Placements give students a vital opportunity to experience ministering to and with real people, applying to the real world what they’ve learned in college. Placements help students to experience a range of challenges, to become more versatile and insightful, and to work out where they have particular strengths, weaknesses and interests. Prepare to be challenged and enthralled; to meet people and make friends; to stretch yourself, to grow, and to discover things about yourself you never knew! 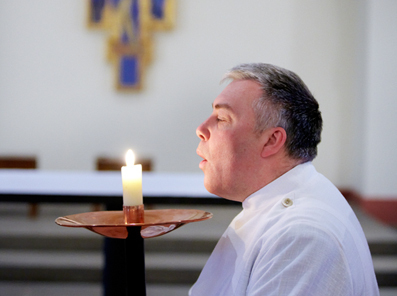 During the academic term each ordinand will undertake a pastoral placement. These placements take place in a great variety of contexts – church contexts and in sector ministries and are arranged to meet the formational needs of each individual. In the summer, ordinands undertake longer placements in both ministry and mission settings throughout the UK. Settings for recent summer placements have included HM Prison Wandsworth and the Lambeth Conference as well as in parish churches throughout the UK. • The Romanian Orthodox theological institutes in Sibiu, Timişoara, and Iaşi. For students who will be with us for 3 years, there is the possibility of a longer parish placement in southern Africa during one term of their third year.